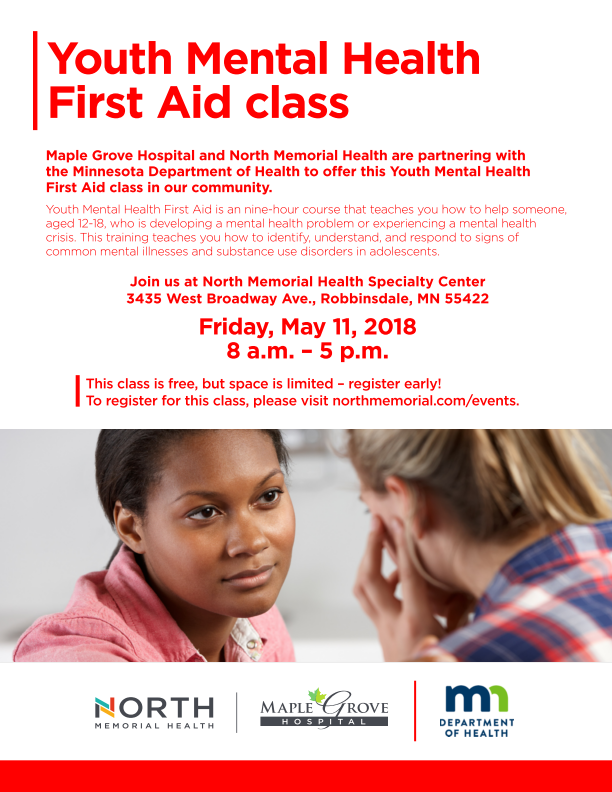 Attached is a flyer for a Youth Mental Health First Aid class that we are offering on May 11th at the North Memorial Health Specialty Center located at 3435 West Broadway Ave in Robbinsdale. 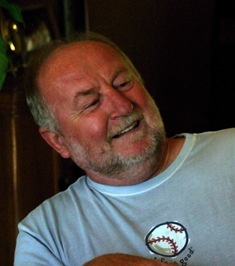 This class is free, but space is limited – register early! 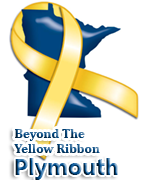 To register for this class, please visit northmemorial.com/events. 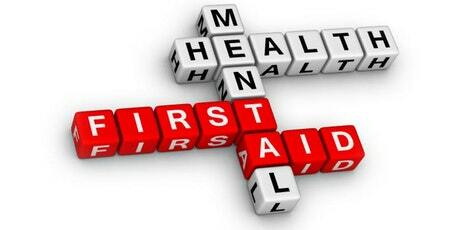 First Aid class in our community.